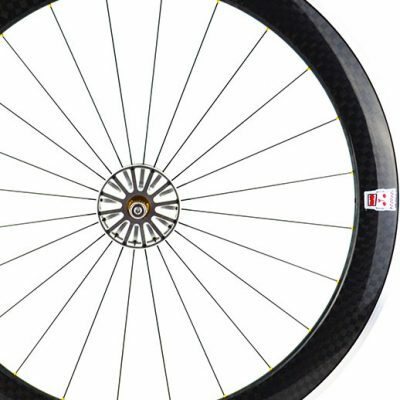 The Godzilla 120 rear wheel is built with our state of the art ‘AERO’ hub & axle system which is designed with a 30mm distance between the hub flanges allowing the spokes to vertically align with the rim. 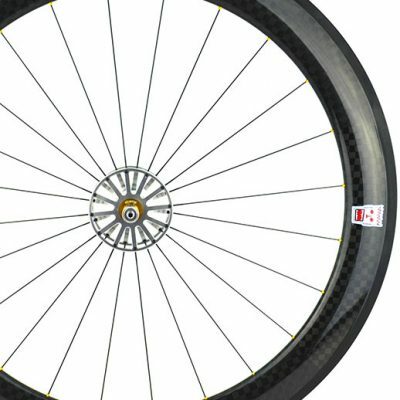 The Godzilla 120 rim is designed with a reverse parabolic curve which generates lift of 30+ degrees in head/tail cross winds. 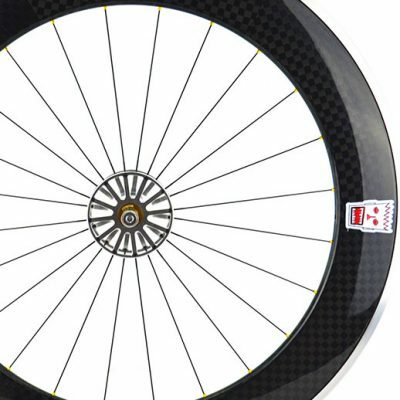 Our wind tunnel testing determined that wind angles of 0 to 20 degrees has the same aero profile as a solid disc but with less weight and overall less drag. 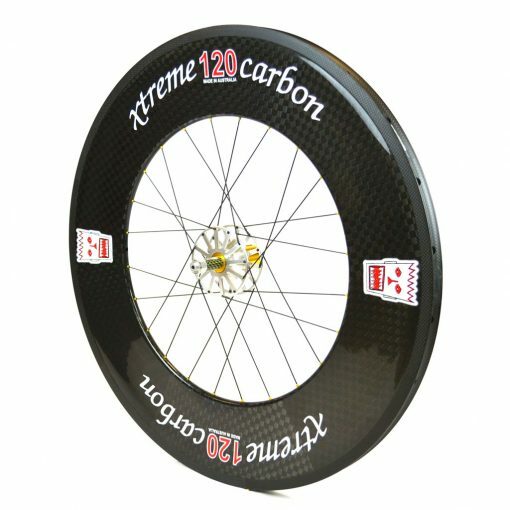 Xtreme Carbon provides the option to mix and match your wheels to give you the big speed gains, the Godzilla 120 pairs fantastically with the Race Grade 60 or 90 front. 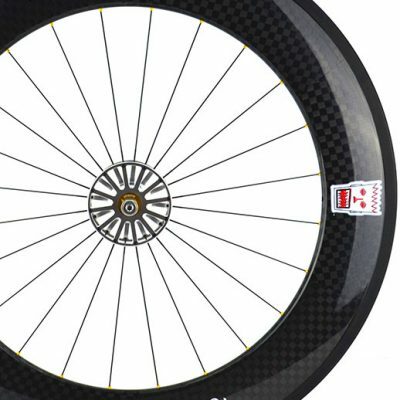 This means you will have a competitive performance package that matches your well-deserved goals on the triathlon and TT circuits.